GPS Origins is a state-of-the-art ancestry DNA test developed by DDC (DNA Diagnostics Center). Contrary to popular belief, GPS doesn’t stand for global positioning system but for “Geographic Population Structure.” The main edge of this test, compared to the competition, is its ability to provide a more precise picture of your genetic origins, pinpointing to exact locations. DDC is a DNA testing center, well-known for its hi-tech approach to genetic sequencing, incorporating robotics technology, among other modern scientific marvels. It was founded in 1995, following the idea that genetic science breakthroughs should be translated into widely available services. GPS Origins ancestry DNA test was created by Dr. Eran Elhaik, the multidisciplinary team leader at the University of Sheffield. Apart from his Ph.D. in the field and two post-doctoral research fellowships, Dr. Elhaik was also appointed as a research associate at the John Hopkins School of Public Health. Continue reading our honest GPS Origins review to learn more about this DNA test. 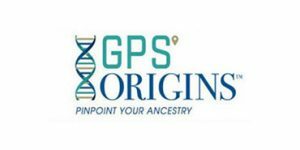 Online order – To order GPS Origins DNA test, you have to place an order with DDC ancestry service, so you should first register and create your personal account on its website. After that, you’ll be able to place an order for your DNA testing kit. Note that you can fill out a questionnaire during the registration process, which will help the company refine your final results. Sample collection – Once your kit has arrived, you can collect your DNA specimen by performing a buccal swab. Mailing the specimen back – The kit also contains a pre-paid envelope, in which you should insert your collected sample. Once you’ve done that, simply drop it into the mailbox. Inspecting the results – In around 6 weeks, your report should be ready. You can inspect your results online, through your personal account. GPS Origins enables you to trace your specific DNA strain back to the place where it began. Your genetic ancestry is traced to 1000 years in the past. In some cases, the results will be able to pinpoint the exact town or village where your DNA originated. GPS Origins utilizes 41 global gene pools in order to calculate the unique signature of your autosomal DNA. Then, it compares that signature to populations around the world in order to locate the origin point of your DNA. Lastly, it calculates 2 genetic lineages by tracing your DNA’s migration patterns. The test checks more than 80,000 autosomal markers within your DNA. Gene pools (or Ancestral Origins) are collective sets of genetic data within specific regions where populations inhabiting it had limited contact with different populations outside that distinct group for around 20,000 or 60,000 years. Reference populations (or Study Bases) are representative samples of certain individuals during a specific time span. GPS Origins utilizes 1,000+ reference populations, which, combined with 41 gene pools, provides the famous accuracy of this test. With that explained, we can delve deeper into the specific inner-works of the test. Namely, it explores the unique composition of your genetic signature, comparing it to a database containing more than 10,000 signatures, spread across the already mentioned reference populations. Genetic mixing in the past usually occurred only when larger groups of people migrated from place to place, which was a relatively rare occurrence. 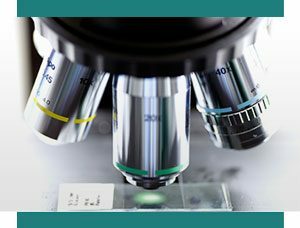 That means that scientists are able to extract pretty clean reference points of DNA compositions found in different locations of the world. The algorithm used by GPS Origins presumes that your DNA shares a lot of common points with the genetic material it originated from, but it still considers it unique to you. It calculates the genetic “distance” between your current and ancestral DNA strain and converts it into geographic distance. Then it uses those geographic points as GPS locations, triangulating the place where your DNA originated. African and Asian editions of the GPS Origins test. They both cost 199$ and focus on 11 and 17 gene pools, respectively. HomeDNA Starter Ancestry Test (69$) – This test yields results in just 3 weeks and will tell you where your ancient ancestors came from and identify your current genetic population groups. 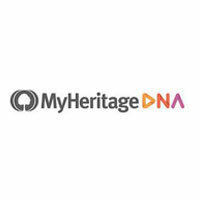 DNA Origins Maternal/Paternal Lineage (69$) – These tests will tell you more about your direct maternal or paternal ancestors. These are separate testing solutions, so testing both lineages costs 138$. The average turnaround time for these solutions is 6-8 weeks. Dr. Eran Elhaik, the creator of GPS Origins, is a research associate with John Hopkins School of Public Health. His research efforts are focused on answering the most important biological questions, drawing from statistical and computational skills, alongside mathematics and epidemiology. Major breakthroughs in his research include designing the 2 microarrays dedicated to genetic genealogy. In 2014, he dated the origination of the “Adam” chromosome, the most ancient Y-chromosome, to 208,500 years ago. In the same year, he also laid the groundwork for what’s to become GPS Origins. He and his team used the original algorithm to discover the ancient Ashkenazi in Northeastern Turkey. DDC will not release your information or share it with anybody without your initiative or explicit permission. It will always follow your specific instructions (if any) concerning information transfer with you or other parties. It will never release any kind of personal information over the phone. DDC incorporates all the industry standard safety measures to keep your personal profile and data transfers as secure as possible. GPS Origins DNA testing kit can only be delivered within the US and Canada. DDC doesn’t mention anything about shipping options or timetables once it receives your order. GPS Origins is one of the best ancestry DNA tests. It should provide exceptionally accurate and specific data regarding your genetic and ethnic origins. If that’s the only thing you want to find out about your ancestry, then this is the clear-cut choice for you. On the other hand, if you wish to discover potential DNA relatives and connect with them, this test leaves much to be desired. Due to this fact, people usually regard it as an ideal add-on to every other ancestry test available and not much of a stand-alone solution. The creator of the test and its “father” company are both renowned names in the field of genealogical genetics. DDC offers a cutting-edge testing facility with literally no room for errors or testing failures while Dr. Eran Elhaik has dedicated his life to pushing forward the boundaries of our understanding of human genetic origins. Our final conclusion is that this is a perfect test for you, provided you already did one with some other company. However, it shouldn’t be the initial step into the world of exploring your genetic ancestry. Our ratings are the result of an objective and independent evaluation of GPS Origins, generating the final rating that reflects the overall quality of the company. Ratings may change as the service changes. GPS Origins user rating based on 10 user reviews. Actually JS, the study you refereed to is about YIDDISH SPEAKING ASHKENAZI Jews. Not all Ashkenazi Jews of Europe... If you're telling the truth, you're not 100% Ashkenazi at all, but a highly admixed individual and likely admixed with Sephardic Jewish. Try reading Dr. Eran Elhaik's study before coming on a website and smearing him with false accusations. 2 Stars is being generous. This is not detailed you get details about the top 3 regions only. On its pinpoint map then it is broken down two one grouping for each parent. My mother has very Homogenized background. But, my father has a very very Heterogenous background. The results are nowhere as good as the results from Ancestry, FamilyTreeDNA, MyHeritage, or Gedmatch. DO NOT PAY FOR THIS SERVICE if you have already had a DNA test us another site that is free for comparison. Remarkable accuracy! I had to call my parents to make sure no one talked to them and made up these results. I have Italian and German origins that start in the Middle East and Russia. The results are way more interesting than all these 5% this and 4% that. I mean, who cares? The migration maps are really engaging and the results even placed my first dna relative in a small village in France. The test is great and very detailed, but it doesn't really provide all the information you can get with some other companies. I already tested my ancestry with 23 and me and this test gave me a lot of extra info. 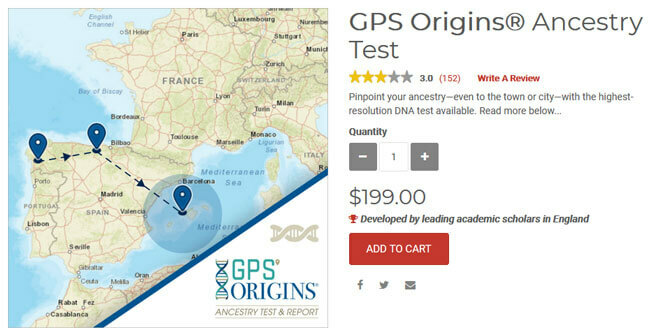 We found 1 verified GPS Origins discount for April, 2019. If you like GPS Origins but aren’t sure whether they are truly the ideal choice for you, you may want to take a look at our comparisons below to discover if one of their competitors is more suitable for you.